An edited NBA 2K14 roster with all players available in Blacktop mode. 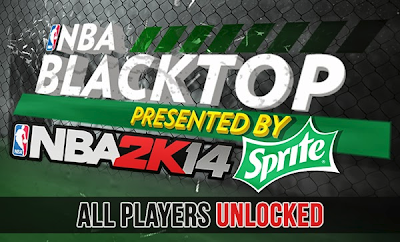 This is the only way to unlock the superstars since 2K Sports took away the VC feature on the PC version of 2K14. The roster is based on the latest official update from 2K Sports (12-10-13). 2. Copy 'Blacktop.ROS' 'to NBA 2K14 Saves folder. - Open the run dialog box by pressing the Windows Key + R on your keyboard, then type: %AppData% and hit Enter. Open 2K Sports > NBA 2K14 > Saves. 4. Play NBA 2K14's Blacktop mode and you should be able choose star players like LeBron James, Kobe Bryant, Kevin Durant etc. on the selection menu.